Locked Out works closely with Muslim community members and groups affected by incarceration to develop and implement community development and support initiatives that build the capacity of the community. The geographic focus of many of these initiatives is in South-western and Western Sydney, however the program works with Muslim communities from all over NSW. A dedicated expert steering committee oversees the development and implementation of the Locked Out program. This committee is made up of representatives from relevant government and community groups and women who have a relative in prison. The Facebook page was the first public Locked Out volunteer initiative. This page provides a forum for communities to discuss the needs of Muslim communities affected by incarceration, and has a particular focus on women with loved ones in prison. This initiative has been running since 2015 and is aimed at bringing together women and children with a loved one in prison. It has proven successful in helping women and extended families come together to breakfast and develop an informal support network of women with similar experiences. Each woman and child is given a gift which has been donated by the community, which has attached to it a letter of support and hope. 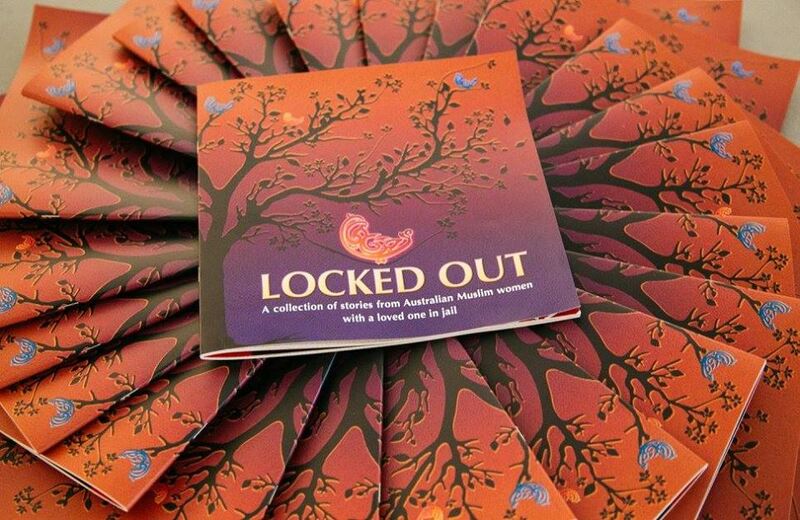 In 2015 the Locked Out publication was launched, featuring a compilation of stories, poetry and drawings exploring the realities of being incarcerated and its effects on related family members, from the perspective of Australian Muslim women. Locked Out also includes a comprehensive resource of relevant community, religious, not-for-profit, and government services and agencies, and provides specific information about the legal processes and terms that women and their loved ones in prison are confronted with as part of their experiences. This publication is the first of its kind that focuses on the experiences and needs of Muslim communities. Over 500 copies have been distributed to date across NSW. Locked Out was produced in partnership with Bankstown Youth Development service and Mission of Hope. In 2016, after distributing over 500 copies of the Locked Out handbook, we decided to turn some of the poems and stories into podcasts that can be accessed online. We produced seven podcasts, in a combination of Arabic and English. This was done in partnership with Bankstown Youth Development Service, an arts-based organisation that has partnered with Locked Out on several other projects. You can listen to the podcasts on the player below, or directly from Soundcloud.